This is the story of my life, my professional life to be precise. I’m not a story teller but I’ll try my best to not make this a lullaby (I’m a terrible singer as well). If you’re an Indian reading this blog post, you’re likely doing engineering or you’re done with it and doing something else right now. If you’re not an Indian, I’m sure you’ll learn a thing or two about engineering in India and why there are more engineers (than you can count) in India! In India, your date with Engineering lasts for 4 years, provided you clear all your exams in that time. If not, add another 3 if you got like 20+ papers to clear. I have a few friends who are like the Legends of Engineering in my mind - one of them cleared 15 papers in the final semester, which is a great feat in itself. Now let’s talk about my engineering life. I wasn’t pushed into it by my parents or teachers. I pushed myself into it. I somehow scraped through those 4 years to finish my course on time and in those 4 years, I discovered what I always wanted to be - a designer, not an engineer. Now, if you’re an engineer who wants to be a designer, stop all your work and continue reading. You’ll learn a thing or two today. When you’re in the final year of college where you’re as lost as a puppy in a dark forest, what do you? Cry. But, crying won’t help for long so you’ve got to get your life together and believe in just one person - you. That’s what I did unknowingly. When everyone told me to do a Masters in Computer Science when I had no idea what I’d learned in those 4 years of my UG in CS, I listened to my inner calling. This may sound very deep but it’s true. You’ll finally get it when you go through times where you have absolutely no idea what you’re gonna do in your life. What did my inner self whisper to my lost little brain? Design. When you want something, the whole universe conspires to make it happen. A wise man (I suppose Paulo Coelho) said these golden words. And, that belief is strongly ingrained in every cell of my physical form. When you want something very badly, you’ve got to believe that you would get it no matter what, put in efforts towards that goal. That’s when the universe would conspire to make it happen. And, it happened. In short, I joined as a design intern in RedBlackTree Tech (after some hustling during the interview) where I learned mostly about UX design. After 4 months of working there, I wanted to dive into Graphic design, so I got myself a Mac and started using Adobe Illustrator almost every single day for 3 months straight. That’s when I came to know about Skcript during one of their GDG events and was stumped by their work culture and the pride they take in the work they do. That was when I decided that if I would be working with anyone, it would be with the good people of Skcript. It didn’t happen immediately, but it happened. Eventually. 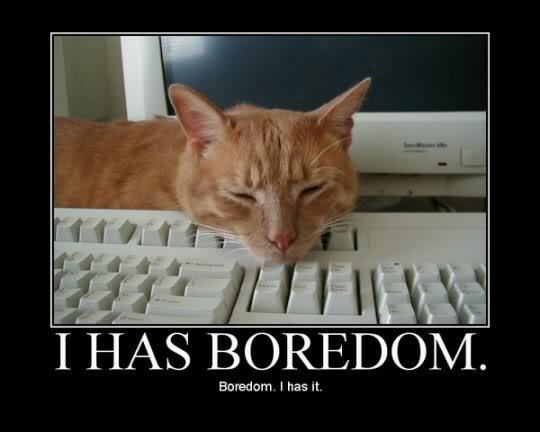 If my story made you feel like this cat, and you just skipped the entire above section, continue reading! Believe in yourself. The universe will make it happen if you put in the effort at the right time. UI design, if you have an OCD for misaligned text on a billboard. UX design, if you can comfortably empathize with fellow human beings. Graphic design, if you like colorful candy. Motion design, if an apple falling from a tree fascinates you. Creativity may seem very complicated to some people but it’s very simple. It’s just like cooking pasta. If you’re making Red Pasta, you add tomato sauce. If it’s White Pasta, you add loads of cheese. Mix and match different ingredients (design elements) until it tastes great. That’s it. Belik Boom to keep your blood pumping. Kendrick Lamar for the flow. Marconi Union during anxious times. Learning to play a musical instrument: I started learning to play the Harmonica. A long way to go but it’s the start that matters. Doodling: Drawing stick figures inside spiral boxes help me streamline my thoughts. Baking: Design and baking are like two disconnected soul mates. I wake and bake some brownies on a lazy Sunday morning to sweeten up my weekend. And finally, racing drones. I can go on and on about my adrenaline filled albeit expensive hobby, which made me grow as a designer.